Significant archaeological work was undertaken on the site of Evesham Abbey in the 19th-century. Since then there have been occasional and small-scale surveys. This section briefly surveys the excavations and surveys undertaken to date. In 1811 Edward Rudge began to dig on the site of the chapter-house. Between 1812 and 1815 the work progressed and uncovered most of the crypt beneath the east arm, and of the east side of the north transept and the crossing. Edward John Rudge (Edward’s son) was responsible for measuring the remains, laying down a ground plan of the foundations as the work proceeded. 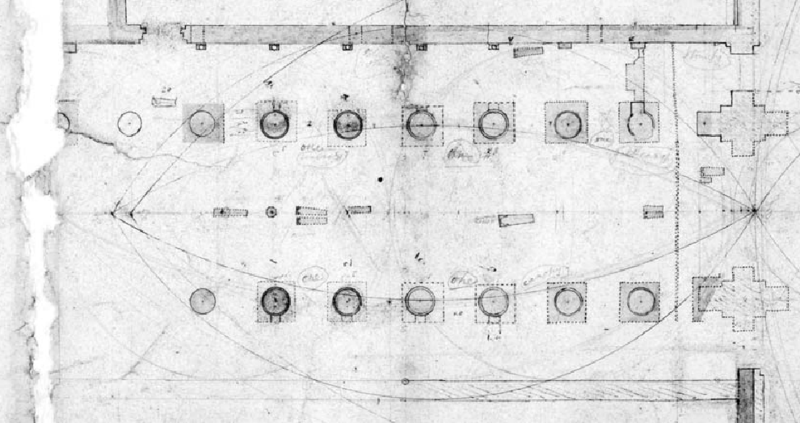 In 1817 the Rudges finished exploring the south side of the crypt and the east wall of the south transept. They also exposed the crypt of a small rectangular structure in the angle between the east arm and the south transept, and uncovered the east wall of the east cloister range between the church and the chapter-house. 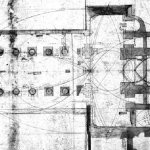 A few years later the nave was due as well as the body of the transept. The site of the nave had been divided into four gardens and separated by post-Dissolution walls. Each garden was dug separately with the cuttings filled as soon as the remains had been measured and recorded. The second garden from the west was dug in 1821, the third and fourth in 1822, and the first from the west in 1822 and 1823. 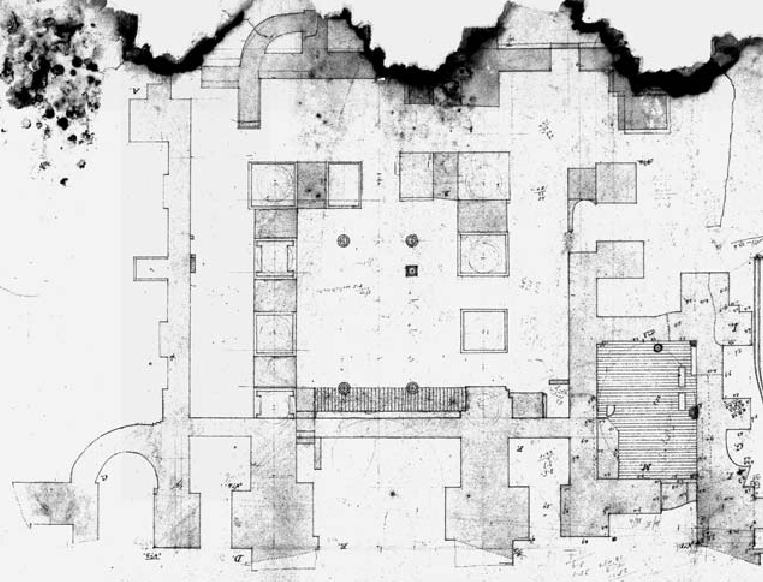 It seems probable that the Rudges finished digging the transept in 1824, and by 1830 they had moved on to explore more of the east cloister range. Between 1832 and 1834, the ongoing work explored more of the east cloister range and dug over most of a garden on the north side of the Bell Tower. In 1881 the extant part of the north-west crossing-pier, and its northern respond from the transept west wall, were re-excavated. The investigators expected to find not only the base complete, but also the lower portion of the columns remaining in position, however there was little to find. The cutting was subsequently preserved within a retaining wall and an iron fence. As illustrated above, limited evaluation excavations have been carried out within the abbey precinct (HWCM 6005) and the Almonry (HWCM 392). This work demonstrated the survival of extensive medieval and post-dissolution deposits associated with the abbey and its conventual buildings. 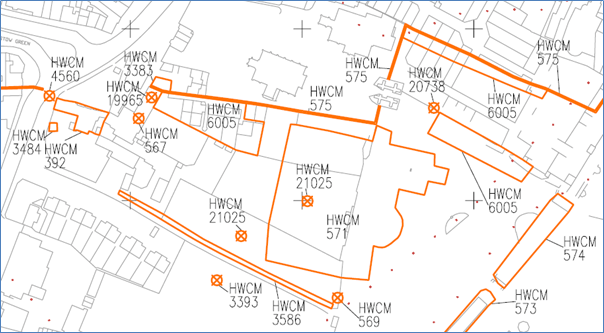 A limited geophysical survey (ground probing radar) has also been carried out at the abbey (HWCM 571) with more systematic geophysical survey of the eastern part of the church and chapter house structures (HWCM 571). Parts of the precinct walls have been surveyed in detail (HWCM 6005). The archaeological and historical importance of Evesham Abbey meant that the programme had to include work on initial archaeology and, if the potential of the site subsequently warranted it, serious consideration of a separate research archaeology project. E.J. Rudge, ‘Memoir, on the Antiquities discovered by Edward Rudge, Esq. F.S.A., F.R.S., F.L.S., in excavating the ruins of the Abbey Church of Evesham’, Vetusta Monumenta, V[.xii] (London 1835); London, Society of Antiquaries MS 520/I (Prattinton Collection, ‘Worcestershire Parishes’), XII, p.492. E.J. Rudge, A Short Account of the History and Antiquities of Evesham (Evesham: John Agg, 1820), 54; Society of Antiquaries MS 520/I, XII, p.514. Rudge, ‘Memoir’, op. cit., p.10; Society of Antiquities MS 520/I, XII, 184, 502, p.511. T.J.S. Baylis, ‘Report on Archaeological Excavations Carried Out in the Upper Abbey Park, Evesham, in April–July, 1958’, Vale of Evesham Historical Society (typescript [Evesham 1958]; copy in Evesham Public Library), p.2. George May, A Descriptive History of the town of Evesham (Evesham: George May, 1845), p.43. J. G., ‘The Remains of Evesham Abbey’, Evesham Journal, 18 May 1907 (quoting Evesham Parish Magazine, May and June 1881). T.J.S. Baylis, ‘Report on Archaeological Excavations Carried Out in the Upper Abbey Park, Evesham, in April–July, 1958’, unpublished research paper, Vale of Evesham Historical Society. J. Hughes, ‘Survey and excavation at Evesham Abbey’, Transactions of the Worcestershire Archaeological Society, third series, vol.12, pp.147-199. J. Hughes and Milligan, ‘An impulse radar survey at Evesham Abbey’, West Midlands Archaeology, 32, pp.20-2. J. Hughes, ‘Survey and excavation at Evesham Abbey’, Transactions of the Worcestershire Archaeological Society (1990), third series, vol.12, p.147ff. L.T. Fagan, ‘Evaluation at The Almonry, Evesham’, HWCC County Archaeological Service internal report (Worcester: Hereford and Worcester County Council, 1993), p.188. J. Hughes and R. Milligan, ‘An impulse radar survey at Evesham Abbey’, West Midlands Archaeology (1989), vol.32, pp.20-2. ‘Geophysical Surveys of Bradford 1994 Report on geophysical survey, Evesham Abbey,’ Geophysical Surveys of Bradford report 94/35. J. Hughes, ‘Survey and excavation at Evesham Abbey’, Transactions of the Worcestershire Archaeological Society (1990), third series, vol.12, pp.157-61. Personal email correspondence to Stan Brotherton from David Cox (24th February 2016) with material written explicitly to be used to promote the project.